No matter how successful your business becomes, there are always going to be days that are quieter than others. 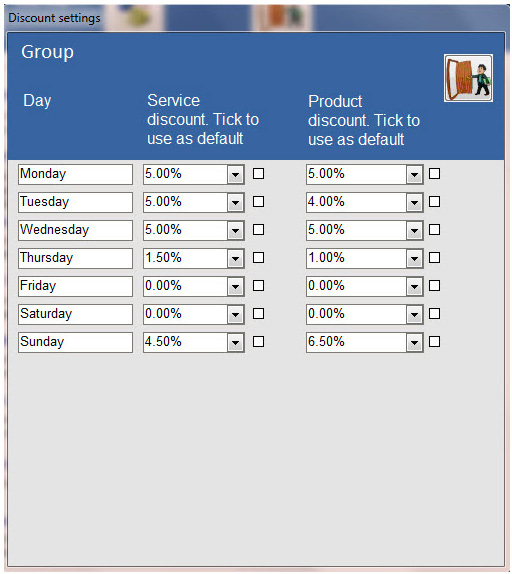 SALONBase has a feature that allows you to give Clients percentage discounts on the days that you choose. The percentage discount can be used for either ‘services’ or ‘product sales’, or both. You can promote these discount days by adding a ‘promo’ statement to your Client’s sales tickets, or by adding it to your website, which is also advertised on the Client’s sales ticket.